On Monday, December 1st COP21 started in Paris, it's an international conference about the climates. 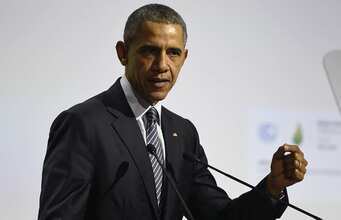 The President of America, Barack Obama was in Paris and did a speech to open this conference front 150 heads of state. The USA is one of the worst polluters countries in the world and the president is dertermined to change this. He said that we are the first generation which can feel this changes of climates and we had to act because in a few years it will be too late. He also said that he knows that his country has a role in this climate changes but he would like to make efforts otherwise the consequences will be terrible. He finished his speech with " Let's go to work", a sentences with hope and determination to change the future of the environment. Thanks to read my article, See you next week !